One of the more preposterous storylines I’ve been seeing among critics of the Pittsburgh Steelers over the last twenty-four hours is about (now former) offensive line coach Mike Munchak. 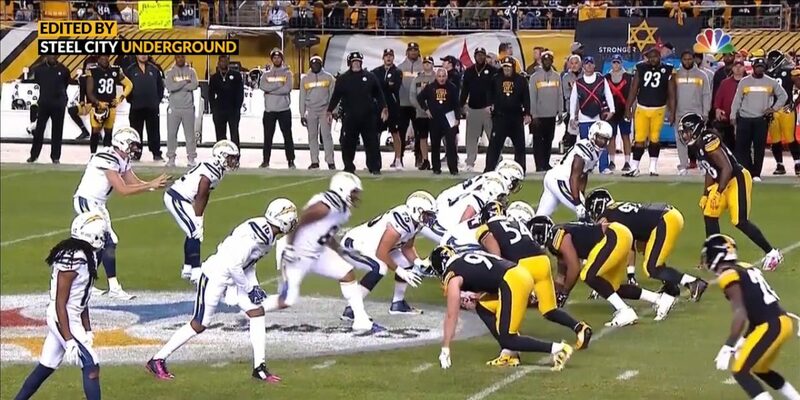 The commentary is all over the board, but primarily lumped into the organization’s other drama, such as that of the ongoing Antonio Brown saga, when there’s no reason it should be. The main comment I continue to see is the Steelers “lost” Coach Munchak. Let me make this very clear: they did not “lose” anyone. First things first, Mike Munchak’s contract had expired. To think the Steelers didn’t do everything in their power to retain, arguably, their best position coach, is borderline ignorant. 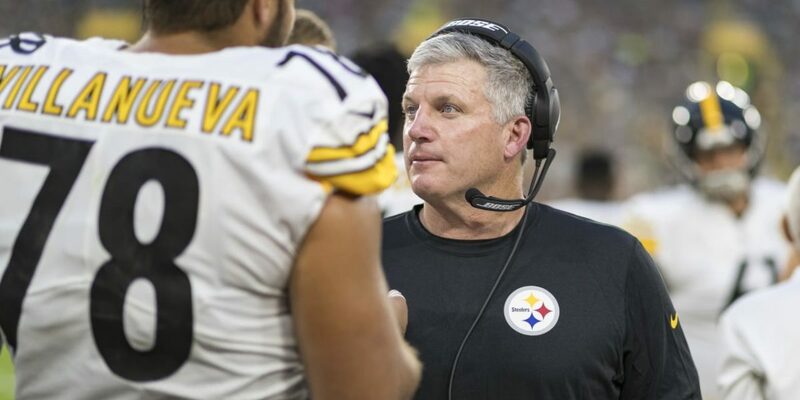 Our own Tommy Jaggi wrote this extensive article about the benefits Coach Munchak brought to the Steelers over the last five seasons. In short, we are all aware of the advances of Pittsburgh running game, as well as how well protected Ben Roethlisberger has been with “Munch” on the sidelines. However, the offensive line coach not only made the Steelers offensive line great, but he afforded the team an opportunity to spend their higher draft picks on positions others than the guys up front. He helped guide undrafted players such as Alejandro Villanueva and Chris Hubbard to full-time (and well-paying) professional football gigs. Villanueva, along with C Maurkice Pouncey and G David DeCastro have made multiple Pro Bowls under Munchak’s tutelage. 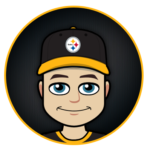 In fact, the Steelers haven’t had to use higher than a third-round draft pick on an offensive lineman since 2012: two years before Munchak’s arrival. That signifies that he was able to mold young men that were already on the roster, as well as those who joined the team as undrafted or street free agents (such as B.J. Finney and Matt Feiler in addition to Hubbard and Big Al) into grown a** men. That’s why fans are in an uproar: why are the Steelers letting Munchak leave? Well, it’s not that simple. First of all, they’re not exactly holding him hostage. Mike Munchak is a well-respected and highly regarded coach as well as a Pro Football Hall of Famer as a player. He’s had experience at every level of the professional football business and that experience is valuable to other teams. The Steelers recognized this several years ago when teams began seeking permission to interview Munchak for head coaching jobs. He politely declined offers, such as the head job in Arizona last season and the Miami Dolphins position just weeks ago. 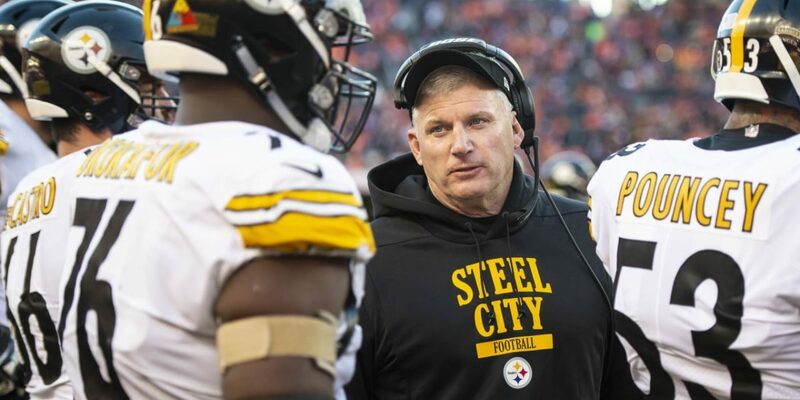 His name has cropped up as a coaching candidate throughout the past few seasons, but it appeared that Munchak was either content with his Pittsburgh job or he was biding his time, waiting for the perfect opportunity. The Denver Broncos were hot to bring in Munchak and reports linked him to their head coaching vacancy based on his wanting to be closer to family living in Colorado. When Vic Fangio, the other finalist along with Munchak, instead landed the Denver job, it appeared that Steelers Nation could breathe a sigh of relief. It was a brief moment of relief, as Monday it was announced that Munchak would be taking the Broncos offensive line coach position, the same one he has manned in Pittsburgh since 2014. Many looked at this as a lateral move and a sign of “rats jumping ship” in the Steel City, where drama centering around the various Killer B’s throughout 2018 and bleeding into 2019 has threatened to change the culture… for better or worse. While Munchaks’ departure is certainly one that will be nearly impossible to quantify, it will definitely be a loss for the Steelers organization. Yet, as mentioned above, it’s one they’ve been prepared for. The Steelers announced that Shaun Sarrett would takeover for Mike Munchak as the offensive line coach. Sarrett joined the team as an offensive assistant in 2012, prior to Munchak’s arrival and has been with the Steelers since. The organization, knowing they would not hold Munchak hostage and would likely have to replace him in the near future, named Sarrett as Munchak’s assistant for the 2018 season. In other words, this move has been coming. It wasn’t a matter of if it was a matter of when. While it would be naïve to expect Sarrett to replicate Munchak’s success, the new OL coach has been under the same learning tree as the players and also shares some responsibility for the success of the men who pave the way for the running game and help keep Big Ben from being sacked. Thanks for explaining this so clearly and thoroughly for these people!